This webinar will educate attendees on the regulations surrounding the Clean Air Act and how to remain in compliance with them. 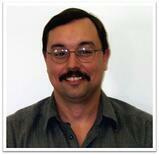 Rick Foote is the Industrial Consulting Services Manager at Triumvirate Environmental. Rick has over 25+ years of EH&S experience. He is an OSHA 501 Instructor and has spoken at many conferences including ASSE Regional Conference and Northern New England Safety and Health Conference.